Provide comfort for the family of Bonnie Schoonover with a meaningful gesture of sympathy. 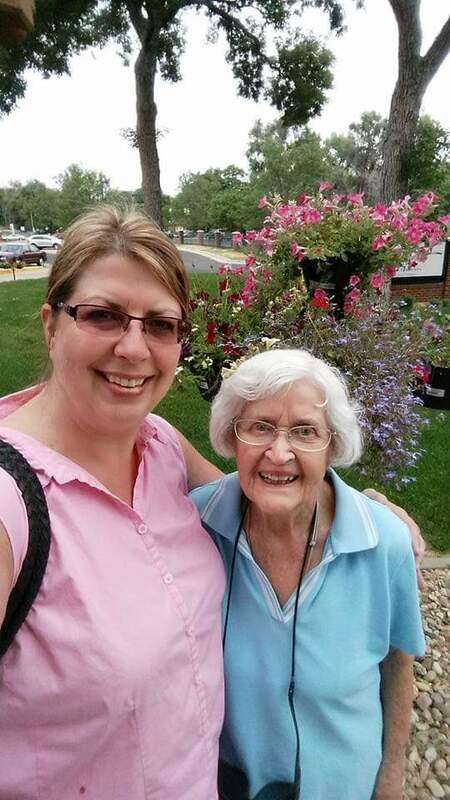 Bonnie Schoonover, 96, of Greeley, passed away peacefully on March 28, 2019 in Greeley. Bonnie was born in Lamar, Colorado to Willie and Leona (Ross) Mason on December 30, 1922. On September 30, 1942 in Greeley, Bonnie married the love of her life, Lawrence “Larry” Schoonover. Bonnie taught for 30 years in the Greeley area as a reading specialist and classroom teacher. She delighted in seeing her former students and families when she was out in town. Bonnie and her pomeranian, Val, were the unofficial greeters at Bonnell Good Samaritan. Bonnie was generous and loving in her demeanor, and loved her family deeply. Nothing was better to her than spending time with her family; talking, laughing and listening to them. Bonnie was a faithful member of the First United Methodist Church, United Methodist Women, and the Delta Kappa Gamma Educational Sorority. She had also loved and supported the Brownie and Cub Scouts. Bonnie is survived by her children, Charles (Susan) Schoonover, Bonnie Crawford, and Rita Schoonover; 9 grandchildren; 14 great-grandchildren; and a large loving extended family. She was preceded in death by her husband; great-granddaughter, Dylanie Schoonover; her parents; and 2 brothers. To send flowers in memory of Bonnie Anna Schoonover, please visit our Heartfelt Sympathies Store. Provide comfort for the family of Bonnie Anna Schoonover by sending flowers. Mrs. Schoonover was my Jackson Elementary school teacher. So many good memories of her then and over the years since. This picture is me and her at Bonnell one summer. One of the biggest blessings of being part of the Delta Chapter of Delta Kappa Gamma was being in Bonnie's circle of love and laughter for a few short years. The best way I can describe it is that she brought LIGHT into the room whenever she was there. I will certainly miss the light she was to my life, but will do my best to honor her by reflecting her light in my own encounters with others.